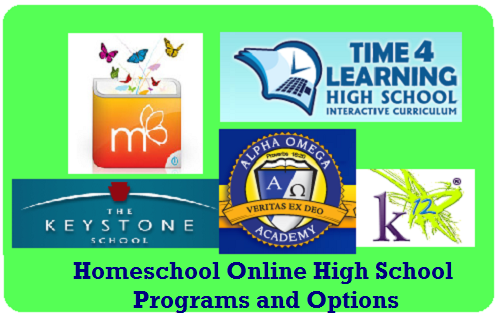 There are different options for completing your homeschool online high school requirements. Consider the advantages and disadvantages of each option before choosing your web-based homeschooling classes. Internet and computer-based homeschool curriculum offers a unique opportunity for students to learn at his or her own pace, but at the same time not be limited to only book learning. Most programs are media-rich with videos, audio clips, movie clips, interactive learning tools and more. Most web-based programs offer the variety of required classes and electives that students need to easily plan and complete their graduation requirements. This option is often more like sending a child to a local private or public school. A teacher or adviser will determine your curriculum, complete all record-keeping and grading tasks and will have many of the same requirements for graduation as a regular local school district would. Instead of the parent or student going into this alone, you will be assigned a team of accredited teachers, advisors and counselors to help you through the planning process. Many schools offer teaching assistance via instant messaging, email and/or phone help during regular schooling hours. All the paperwork is done for you including attendance, grading, testing and report cards. You are helped in the process of choosing courses to insure that you meet state graduation requirements and have the courses you need to advance to college easily. In states with very strict requirements for homeschoolers or requiring teacher accreditation, this may be the easiest option. There is a lack of flexibility that many homeschoolers enjoy. Some parents and students prefer more control over their areas of study and their overall schedule. There are also options to complete your homeschooling requirements using software that is either web-based or stored on the hard drive of your computer. It will still have the automatic grading options for much of the required work but may require the parent to grade essays, keep track of attendance, high school credits and to create transcripts and report cards. While this may seem like a lot of responsibility for a parent, most publishers of homeschool software programs match state requirements so easily that it is not as difficult as it may seem. Most parents do a great job without needing outside assistance. More flexibility with your student calendar and course selection. Automatic grading for the majority of course work completed. Many programs include automatic report card and attendance report generators. You generally get the same accredited curriculum as the academy or umbrella schools, but at a much more affordable price. Parents and students must be diligent about making sure that they satisfy state requirements for testing and for issuing a high school diploma. No teacher or adviser assistance is included. A Great Choice for Many Families! Homeschoolers often send their children to a local high school because they are simply too overwhelmed to try to homeschool through the high school years. It does not have to be that way anymore. These programs offer options for you. In addition, web-based homeschooling is becoming a welcome solution for busy parents, people who have larger families and for those who like to learn in a multimedia environment. Depending on your needs and your budget, either of the online options could work well for most high school students.